If you have been playing around with the Honda K-Series engine long enough chances are you have seen a broken oil pan or two. Part of the problem is that a K20A, A2 or Z1 engine mounted in a K-swapped car (EG/DC2/EK) sits approx. 3/4” lower when compared to the older B engine. The other problem is the oil pan on these engines is made of cast aluminum which does not hold up well if it is hit by something hard. The result is usually a crack or even worse, the pan shatters and takes off a piece of the block girdle with it. 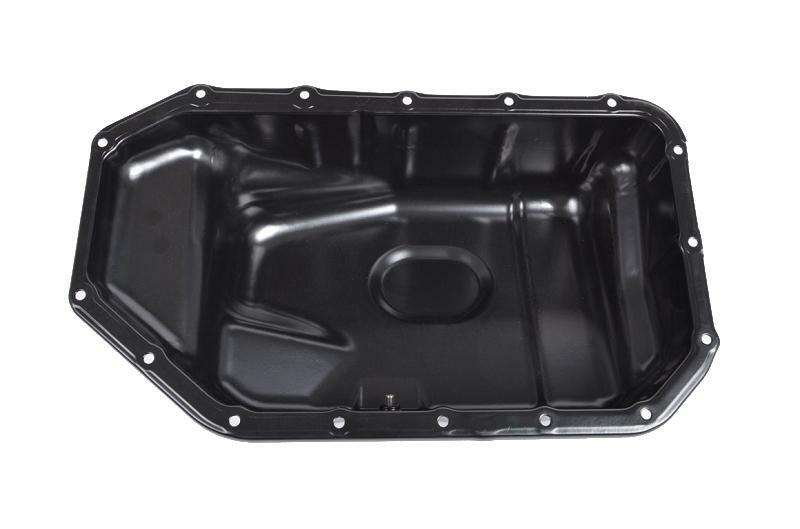 K-Tuned Oil Pans are made with thick gauge powdercoated steel which will more than likely just dent if they get hit. Choose to buy our complete kit with oil pan, magnetic drain plug with K logo and a set of 16 bolts which are needed if installing on a K20A/A2 or Z1 engine. Most people forget or don’t know that the original bolts for the aluminum pan are longer and will not work with the steel pan. 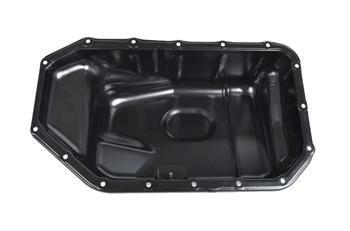 The other option is to buy the pan only with no drain plug or bolts, which is perfect for guys replacing an existing damaged pan or who are building a new engine. To ensure the pan is sealed properly, we recommend using either Hondabond or Permatex Ultra Grey Sealer, part number 82194.